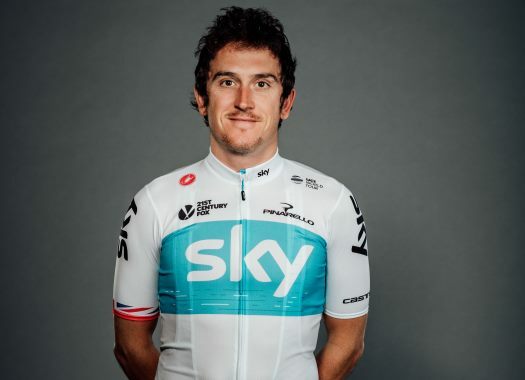 Geraint Thomas had no words after taking his second stage win in a row at the Tour de France, extending his lead in the general classification. The Welshman of Team Sky won a sprint of five ahead of Tom Dumoulin and Romain Bardet, with teammate Chris Froome finishing in fourth place. "Honestly I'm speechless. I don't know what to say. No chance in hell I thought I was gonna win today," Thomas said shortly after finishing. "I just followed Dumoulin. Froomey and Bardet were attacking, obviously a bit of bad luck for (Vincenzo) Nibali. I rode over his back wheel and nearly went down myself," Thomas explained, referring to the crash the Italian suffered in the heavy crowds just as attacks took place. "I did say yesterday that this race is made for me now. Today, that's it, I can be happy for sure now." The Welshman still doesn't expect to hold on to the Yellow Jersey until the end, but does hope to keep it a little while longer. "Maybe in the next few days. This race is so hard. You never know how the body reacts. I'm still riding for Froomey, he's still the man. He knows how to ride for three weeks. He's probably the best ever. "I'm just gonna enjoy this. It's great, I just can't believe it. Alpe d'Huez man... I'm just speechless."